The red carpet at the Grammys was one of the best in years for jewelry. Dare I say, it was the best ever. Well, new jewelry continued to roll on musicians as they changed for their performances or just changed to present or accept awards. Honestly, the whole thing was very next level. All the action was almost as electrifying for this jewelry writer as Michelle Obama’s appearance at the opening of the show. During that big moment, the Former First Lady was wearing diamond scarf earrings with her Sachin & Babi ensemble. Lady Gaga had on a Tiffany Blue Book necklace with over 90-carats of specially cut diamonds that took a year to make. Jada Pinkett Smith wore pieces from Neil Lane. 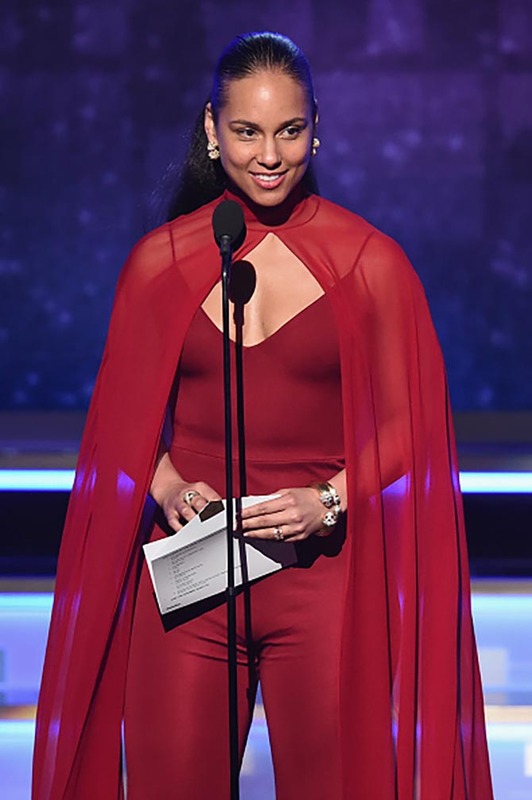 Alicia Keys sported a 1970s David Webb ring from Jill Heller with Cartier jewels. Jennifer Lopez had on small cluster earrings from Niwaka under her big hat. 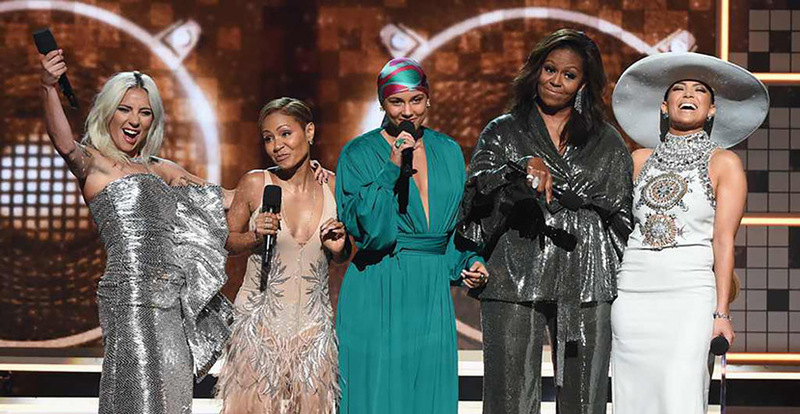 Read on for other jewelry highlights from the Grammys. Cardi B. caused a sensation when she appeared in a vintage Thierry Mugler dress on the red carpet. 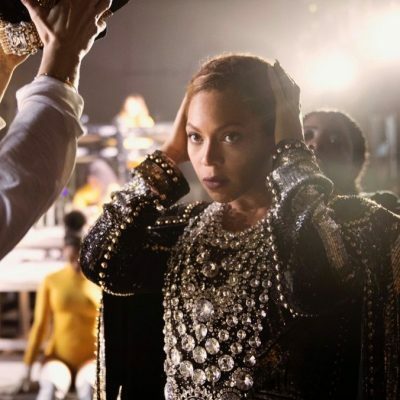 Well, she also wore Mughler during the performance of her hit song “Money.” She paired the dramatic body suit with the Sea King necklace from Messika’s Once Upon A Time High Jewelry collection. It is a bit of a risk to perform in High Jewelry, because it can fall off with all the action. It’s why you don’t usually see it on stage during a performance. Well, guess what? 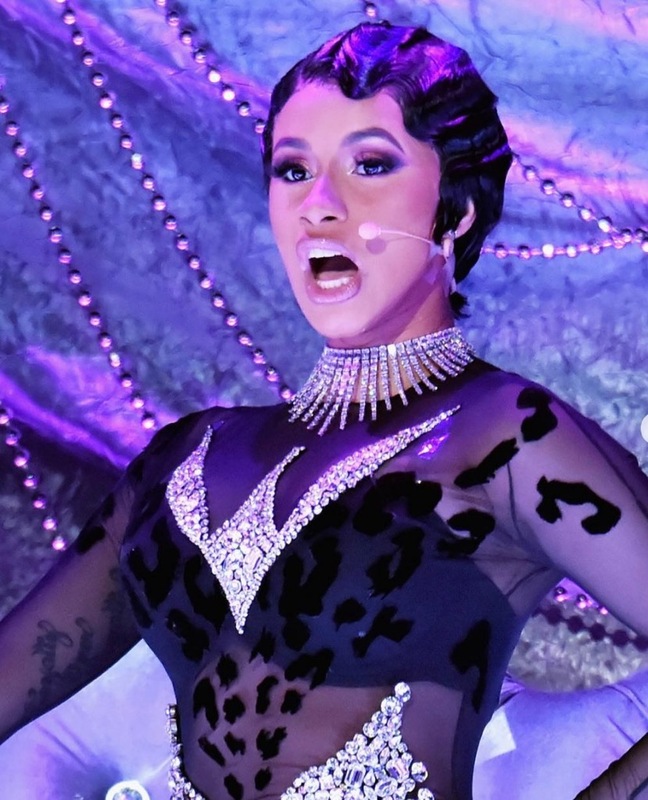 When Cardi shimmed into her big fan her Messika jewel dropped. She didn’t miss a beat in the number. I gasped. I am sure it was found. It’s huge and would be impossible to miss on the stage, but it was a heart stopping moment for jewelry fans. 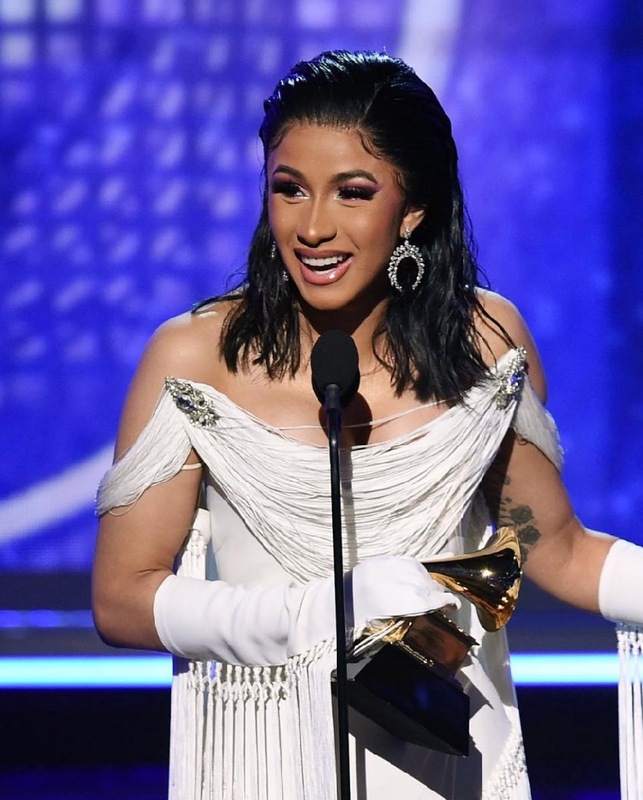 Cardi B wore a third Thierry Mugler vintage gown to accept her first Grammy. She paired the white dress and gloves with Wild Moon diamond earrings from the new High Jewelry collection by Messika. 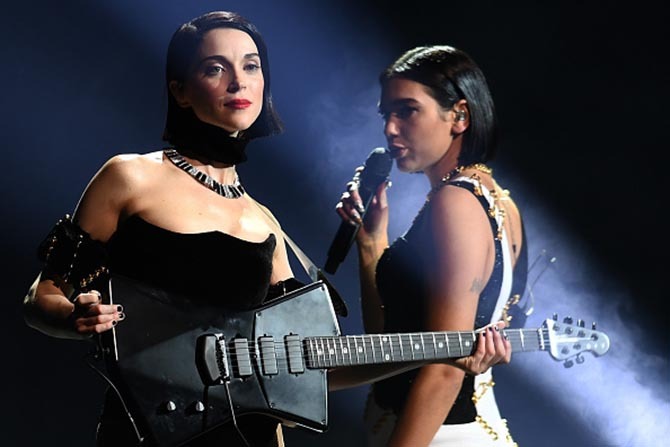 St. Vincent also performed in High Jewelry at the Grammys. But there were no gyrations during the medley of “Mass Education” and “One Kiss” with Dua Lipa, so her necklace by Bulgari was completely safe. It was also totally apropos. 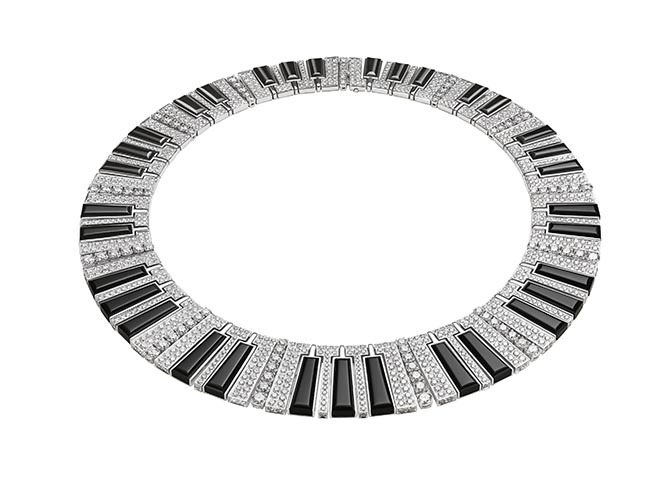 The Bulgari necklace worn by St. Vincent during her performance at the Grammys is from the Italian jeweler’s Wild Pop collection. It is composed of diamonds and onyx. Eve changed from her red carpet look into a dramatic white jumpsuit with a cape to present with Swizz Beatz on the Grammys stage. She paired the ensemble with an artistic gold necklace by Coomi set with Muzo emeralds. 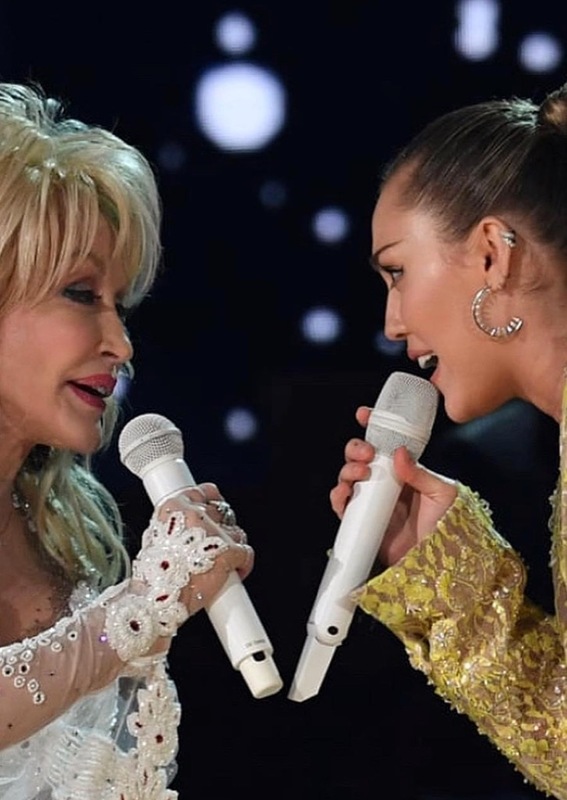 When Miley Cyrus took the stage to perform “Jolene” with Dolly Parton, she wore a pair of Spiky Hoops by designer Karma El Khalil. 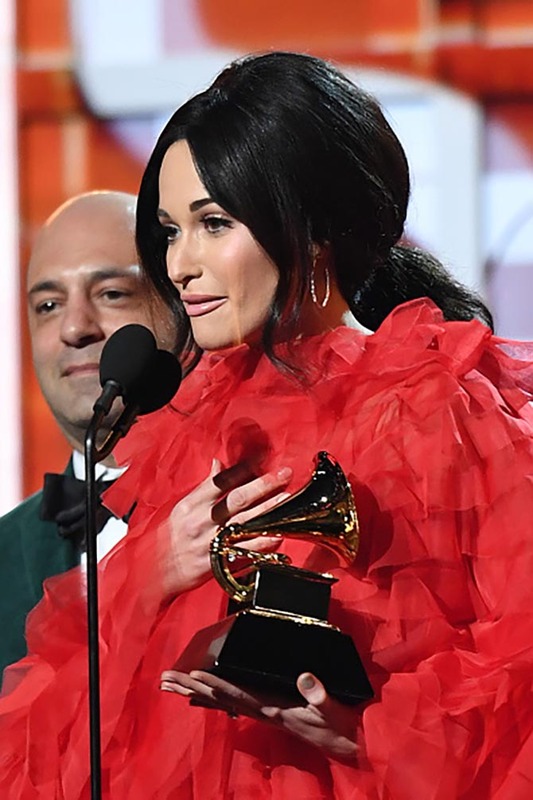 Kacey Musgraves was one of a handful of women who had different looks for the red carpet, her performance and to accept awards. She wore hoops by Sara Weinstock with her Valentino dress to receive her honors. 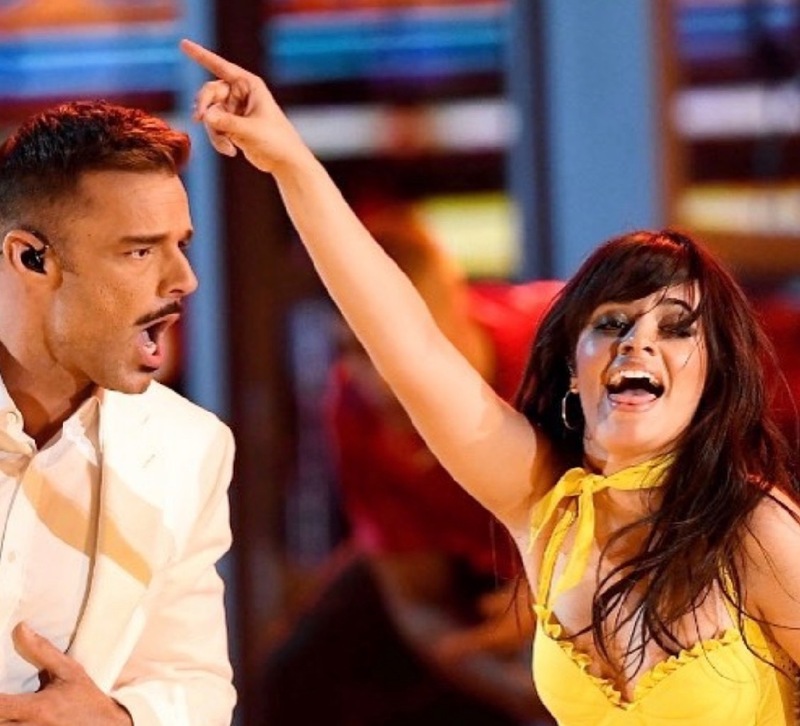 For her dynamic performance of “Havana” with various stars including Ricky Martin, Camila Cabello wore Jennifer Fisher’s 2-inch gold hoops. The hostess with the mostess, Alicia Keys wore any number of fabulous outfits and amazing jewels throughout the night. 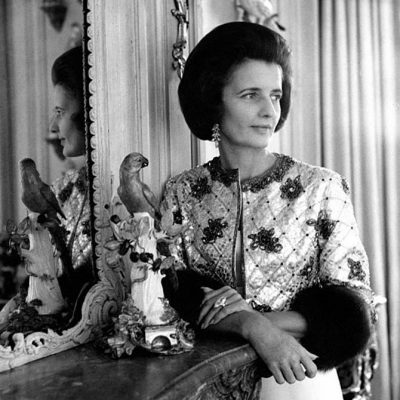 One of the most stunning was her Valentino red number with a cape. She paired the ensemble with Cactus de Cartier earrings and two David Webb bracelets.